The OFT today issued a call for evidence to establish the background to recent reports of rising UK private motor insurance premiums, and consider whether further work may be necessary to improve the way the market works. UK annual comprehensive car insurance premiums are reported to have risen by as much as 40 per cent in the year ending 31 March 2011. The OFT wants to establish the full facts, the reasons behind any increase, and whether there are any consumer or competition issues that need to be addressed to improve the functioning of the market. As part of its work the OFT is interested in examining reports that car insurance premiums in Northern Ireland are significantly higher than they are in the rest of the UK, and understanding the reasons for any difference. ancillary products that are sold by insurance companies in addition to standard motor insurance cover. The OFT will continue to work with the Ministry of Justice, the Financial Services Authority and other government departments regarding its work. It will gather evidence from a number of interested parties over the next five weeks, and plans to publish its findings in December 2011. Whether the OFT conducts further work in this area will depend on the evidence received. 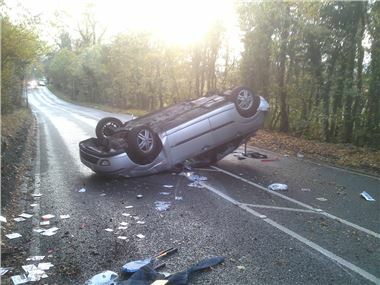 Predatory Accident Management outfits phoning, mailing, emailing and texting motorists with offers to extract £3,000+ for 'personal Injuries' they never sustained. Accident Management companies being tipped off about crashes and intervening between policyholders and their insurers. And Accident Management companies feeding no fault crash victims into extremely expensive 'courtesy' hire cars, then extendingh the period of repair to maximise revenue from the hire that the crash victim then becomes personally liable for. We have seen demands for as much as £70,000 for a hire car during a crash repair. Many perfectly repairable cars are now being hastily 'written off' and sold to the salvage business in order to settle claims without putting crash victims into hire cars. According to the AA's British Insurance Premium Index, the 'shoparound average' for annual comprehensive car insurance cover rose by 40.1 per cent for the 12 months ending 31 March 2011. On 31 August 2011, the Consumer Council for Northern Ireland launched a campaign to reduce the cost of car insurance in Northern Ireland. This included making a formal submission to the OFT to ask it to examine the car insurance market in Northern Ireland. Further information on the OFT's call for evidence is available on the website project page.